British Airways has hired Louise Evans, formerly director of corporate affairs at Sainsbury's, to the position of director of external communications. Evans (pictured) will join the airline on 26 February 2018. The news comes after the airline restructured its comms operation last month, with two longstanding PR staff - communications director, Paul Marston and head of internal communications, Amanda Poole - leaving the company. Like Marston, Evans will report directly to Alex Cruz, BA’s chairman and chief executive. Unlike Marston, she will not run internal comms, which has now been moved to sit under HR and legal. Sophie Greenyer, head of global news, and Kathryn Williamson, head of global PR, and their respective teams, will both report into Evans. Cruz said: "Louise has an excellent track record and a wealth of experience and expertise in all aspects of communications. Louise will be a strong addition to the management team and I look forward to working with her to help us deliver world-class communications." 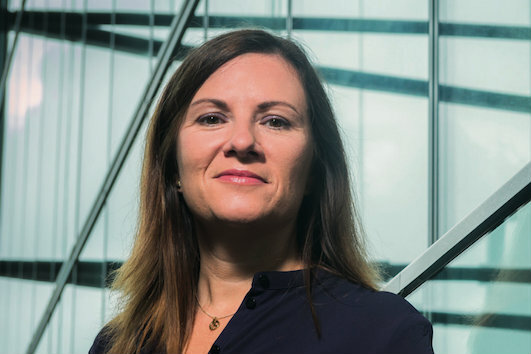 Evans, who was made redundant from Sainsbury’s in July 2017 amid a major restructure by the supermarket, was previously global director of communications and marketing at Dentsu Aegis Network and before that, director of corporate communications at ITV Plc. "I am extremely excited to be joining British Airways at a pivotal moment in its evolution," said Evans. "British Airways is a premium airline, an iconic brand and a strong national asset. With an ambitious £4.5 billion investment programme underway, I am looking forward to being part of the next phase of the company’s journey, putting customers and communications for the digital age, at its heart."